Are you looking for your next job, but struggling to find the right role? 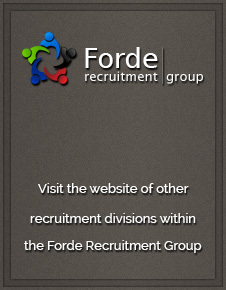 Forde Recruitment hears you! Some people find their perfect role with ease whilst others struggle a little bit more. We think some insider tips from those who dedicate their own working lives to find work for others as invaluable! So take some time out and read our top tips from recruitment consultants across our Industrial, Automotive and HGV divisions. Read the job description before you apply! If you manage to get through to a recruitment consultant, or they ring you to discuss a role, make sure you are 100% aware of the role they are talking to you about. Client’s want people working for them who will enjoy the role and work hard at ensuring they are getting the most out of the role. Saying “I’m not sure which one you mean as I just applied for loads of jobs online” doesn’t make it sound like you are caring about the roles you apply for! Make sure you are happy with the duties required, working hours/patterns and salary/rate of pay before applying. That way a consultant can spend time finding you a more suitable role you will be happy with, instead of wasting it on one that you wouldn’t enjoy! Don’t be late! This counts both with your recruitment consultant and a direct employer. All parties involved need to know that you are going to be a reliable candidate so try your best to get there on time, or even better, early! First impressions count – don’t turn up looking like you have been to the gym ! Look interested – make it clear you are there because you want to be, not because you have to be. Be open and honest about your situation, if you have other interviews lined up let us know – we’re genuinely here to help you and it’s good just to keep it open and honest. Have your reference details ready to bring to interview- this will help speed the process along and also shows you are keen and prepared. Smart appearance always helps but don’t overdo it, make sure you’re relaxed enough to let your own personality shine through. If you are needing support and help with finding your next role, get in touch with us today!